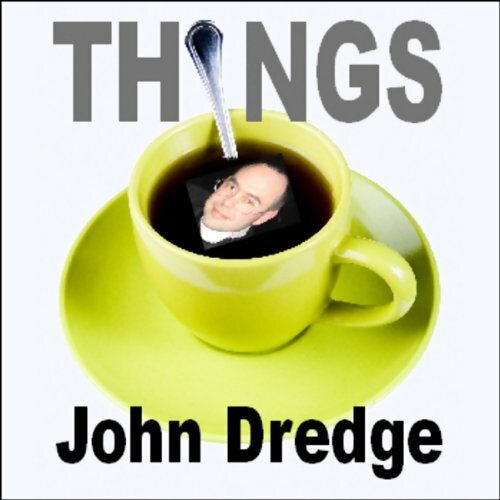 Showing results by author "John Dredge"
Enjoy the gentle, laid-back humour of UK-based comedian and broadcaster John Dredge, in this hilarious 3 part history of almost everything in the universe. his acclaimed radio series has been broadcast on Resonance FM, and syndicated worldwide via Comedy 365, and is now available exclusively at Audible.co.uk. In part three of this series, John Dredge takes an hilarious look at the discovery of the colour green and the ocean. Enjoy the gentle, laid-back humour of UK-based comedian and broadcaster John Dredge, in this hilarious 3 part history of almost everything in the universe. This acclaimed radio series has been broadcast on Resonance FM, and syndicated worldwide via Comedy 365, and is now available exclusively at Audible.co.uk. If you enjoyed "The Day Today" and "People Like Us", you¿ll love John Dredge. In parts two of this hilarious radio series, John Dredge looks at classical music and the environment. Enjoy the gentle, laid-back humour of UK-based comedian and broadcaster John Dredge, in this hilarious 3 part history of almost everything in the universe. This acclaimed radio series has been broadcast on Resonance FM, and syndicated worldwide via Comedy 365, and is available exclusively at Audible. If you enjoyed The Day Today and People Like Us, you'll love John Dredge. Here, John looks at the invention of the cube, and tea.